Millennial Generation: Also known as Generation Y. Those born in the years starting in the early 1980s and ending in the early 2000s. It’s no secret that the least respected generation is the millennial generation. Unfortunately, being associated within this generation comes with negative connotations, whether deserved or not. So when it comes to finding a job, there are some recruiters out there who may be hesitant to hire a millennial because of these preconceived ideas they have of millennials. Below are some millennial workplace stereotypes and tips on how you can break these stereotypes to earn the respect of those who doubt you. Entitled: Those from older generations may feel that the millennial generation is filled with those who feel entitled in life. Most of them have this idea that millennials are handed everything on a silver spoon, someone who has never worked a day in their life and who lack understanding of what hard work means. But this could be because of how traditional hierarchy in many industries has faded over time. Jennifer McClure, president of leadership strategy firm Unbridled Talent in Cincinnati, states that the younger generation or workers are advancing more rapidly than previous generations did. Break this stereotype by showing your employer that you understand hard work and that you’re a team player. Incorporate other people’s ideas, ask for second opinions, take advice from others, and be willing to listen to others. Don’t make unreasonable requests and don’t make excuses. Distracted by Technology: It’s no secret that the millennial generation grew alongside the internet era. iPhones, Twitter, Snapchat, Instagram, etc. there’s no shortage of potential distractions from your work. But not every millennial is on their phone playing Candy Crush. Because most millennials know the workings of the internet and social media, most view technology as a way to help them do their job better. Explain to your employer that the access you have to the internet from your phone actually helps you in your work. Twitter can help you stay on top of industry news, refer a great article to your company that you read about a competitor. Understand what the public wants by reading feedback on social media accounts or in articles. Find out what your consumers are saying about your company or product. “Job Hoppers”: Studies have found it’s true that younger workers change jobs more frequently than previous generations. In a 2016 Gallup poll, they found that 21% of millennials changed jobs within the last year, which is more than three times the number of non-millennials. Break this stereotype by staying at a job for at least one year. It can be tempting to leave immediately but by doing so, you run the risk of burning bridges, begin to have too many stints on your resume, and having prospective hiring managers begin to assume your lack of commitment. Be prepared in interviews for questions regarding why you left your previous job of a year. A way to respond to questions like these is to focus on why the move makes sense given your career goals versus throwing your previous employer under the bus. We Want Special Privileges: Millennials value flexibility and aren’t afraid to ask for it. For example, millennials might want a job where you won’t have to work on the weekends, transportation reimbursement, benefits, or maybe you want to work from home. It’s important to not come across as someone wanting everything without giving anything back. Don’t ask for special accommodations, rather let your hard work earn you those accommodations. Focus on doing a great job in your work. Prove you’re worthy of these privileges by providing achievements, like exceeding sales goals, growing consumer satisfaction, etc. Millennials Are Too Sensitive: The millennials generation have often been associated with the idea of being “too soft.” Many employers may be hesitant about giving feedback in fear of upsetting them. Let your employer know that you are open to feedback and constructive criticism. Remember, you don’t know everything. It’s important to ask questions and not be afraid to ask for help. This shows your employer that you care about the work you are doing. It’s important to know if you are doing your job right, if you are going about projects the right way, and could you be pushed to do even better? Feedback isn’t to be viewed as negative. If your employer isn’t giving you feedback about your work, they might just not care enough about the work you are doing. Stay Prepared: Employers will take note of your age. Today, we live in the digital age, something millennials know far too much about. Understand that these days, your first impression will be made well before you actually meet someone. For example, develop good professional habits. If you have a social media account, which in this day and age almost every millennial does, be careful with what you post, like, comment, or retweet. If you choose to keep a public profile, remove anything you would not want your boss to see. Use these same tools to your advantage by researching your potential boss or the company you’re interviewing for. The internet has pretty much anything you could ask for. Read up on your potential employer or company by checking out their social media accounts and website, that way when you go into your interview, you are prepared to know what type of employee they are looking for, what the company values, etc. This will show the employer that you took the time to read up and learn about the company and that you came in prepared. Exceed Expectations: Use negative perceptions of millennials to your advantage. Because some employers may expect a lower standard from you, exceed their expectations by going above and beyond, even if it means being punctual to a casual meeting, or be thinking one step ahead of your coworkers. Work Hard: An obvious, but an important tip. It takes time to earn the trust and respect from your peers and your boss. Working hard doesn’t necessarily mean clocking massive amounts of overtime, but it does require showing up on time, going out of your way to help the company, putting in extra effort into every project, presentation, etc. The little things matter. Understand You Will Start at the Bottom: Embrace starting at the bottom. Understand that most people don’t become a CEO in their twenties. As you grow, so will your career. You will begin to rise in leadership positions and the knowledge you will have developed will help you once you get to the top of the ladder. Don’ take anything for granted, for every little thing you learn, even if it is from the mailroom, will hold some sort of tactic that you will use in your higher up position. Communication is Key: Generations have different communication styles and it’s understandable that these may clash. 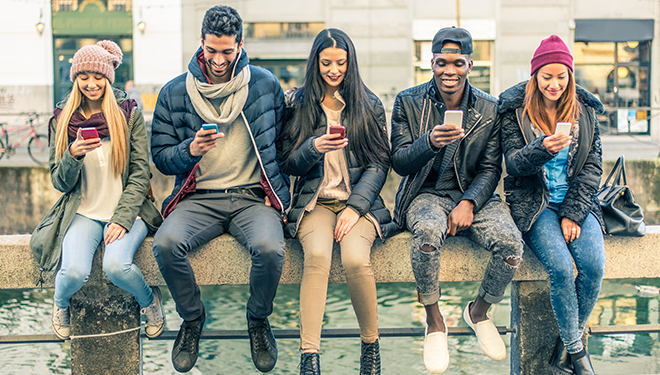 Millennials often speak differently than older generations and what may seem like an unreasonable demand, or someone just giving you an attitude may be a result of poor communication. Always step back and understand the other side, then respond accordingly. It’s important to approach every new position as a new learning experience and a new opportunity. Always be approachable, always be in touch and available. Most importantly, humility goes a long way toward breaking out of those millennial stereotypes. Remember, do not let stereotypes about a subset of your generation hold you back.